The Blackburn Inn will officially open its doors this Spring. 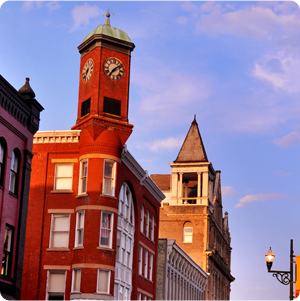 This 49-room luxury boutique hotel in downtown Staunton, has a storied past dating back to the 1800s. What was once Western State Hospital, The Blackburn Inn was envisioned and influenced by master builder and Thomas Jefferson protégé, Thomas R. Blackburn. This historic building was originally constructed in 1828 and was most likely built by several of Jefferson’s workmen from the then, recently completed University of Virginia. 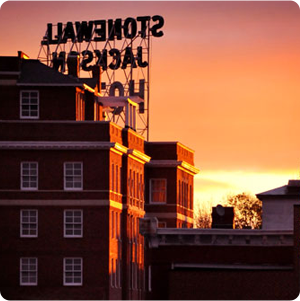 Guests and visitors will find a home away from home at The Blackburn Inn — greeted with stately columns, wide corridors and hallway arches, vaulted ceilings, and an original wood staircase allowing guests to access the rooftop atrium offering breathtaking 360-degree views of downtown Staunton. The Inn will honor the age and elegance of the building with other notable design elements to include original heart pine floors that will flow throughout the hotel, an antique style drafting table that will serve as the reception desk, and artwork from local and regional artisans showcasing Staunton’s emerging arts scene. 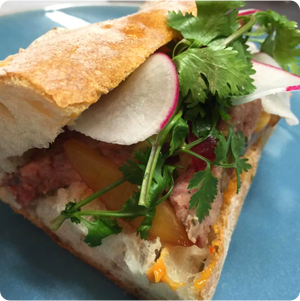 Guests and locals will appreciate seasonal events on the lawn and throughout the hotel, enjoy bites and sips from locally-sourced vendors at The Inn’s bistro and bar, and experience the vibrant arts and culture scene firsthand. Staunton-based developer and owner, Robin Miller, was committed to honoring the extraordinary elements of the building and engaged key operational and design partners – Retro Hospitality, LLC; A Concept 2 Design; and Apex Design – to develop a property that captivated and inspired guests. Striking the perfect balance between modern design and historical roots, the hotel’s inspiring touches exemplifies artful design and a modern, upscale, state-of-the-art experience. The Blackburn Inn is now accepting reservations for stays starting April 27. 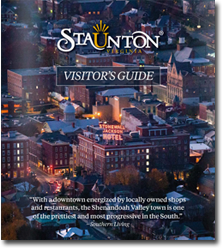 The Blackburn Inn and Visit Staunton are running a social media giveaway throughout the month of April – visit Facebook or Instagram for details on how to get a free overnight stay.